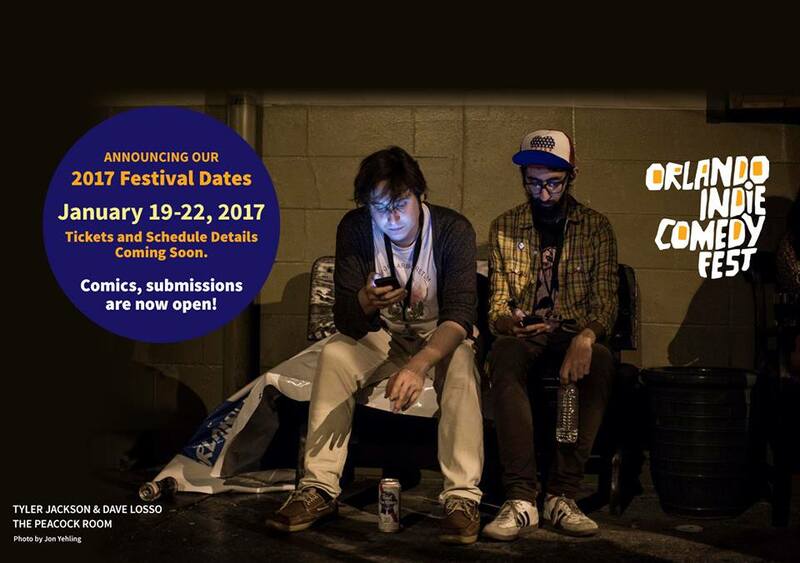 ﻿Published by Sareth Ney on Sept. 29, 2016 at 6:21 a.m.
Comedians selected to take part in the Orlando Indie Comedy Fest will perform three sets, over a span the four nights. As the dates approach—they will all perform extra sets, at additional locations and events. For the initial three sets—they will perform an early, middle and late performance. Each will be between eight and 10 minutes in length. Headliners and openers will perform an extended set.